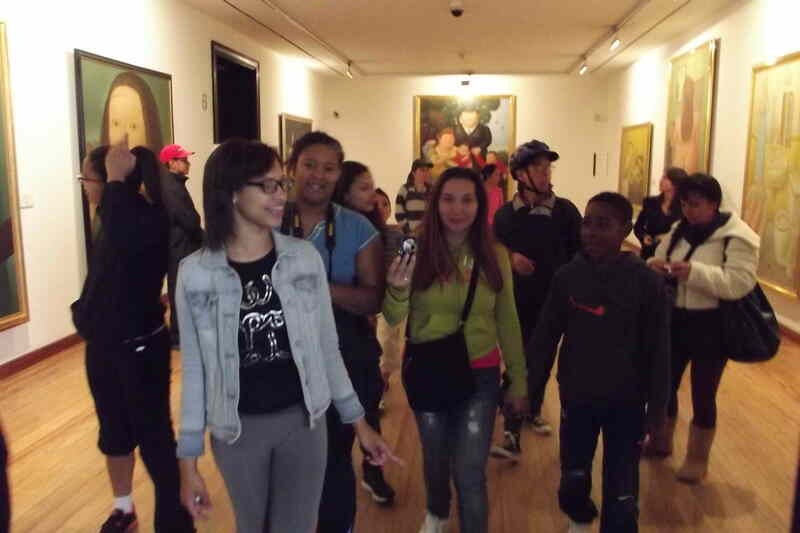 Photography Without Borders, a foundation from Philadelphia, USA, has worked for several years with a priest from a town in Cundinamarca promoting cultural interaction and photography amongst children from both places. 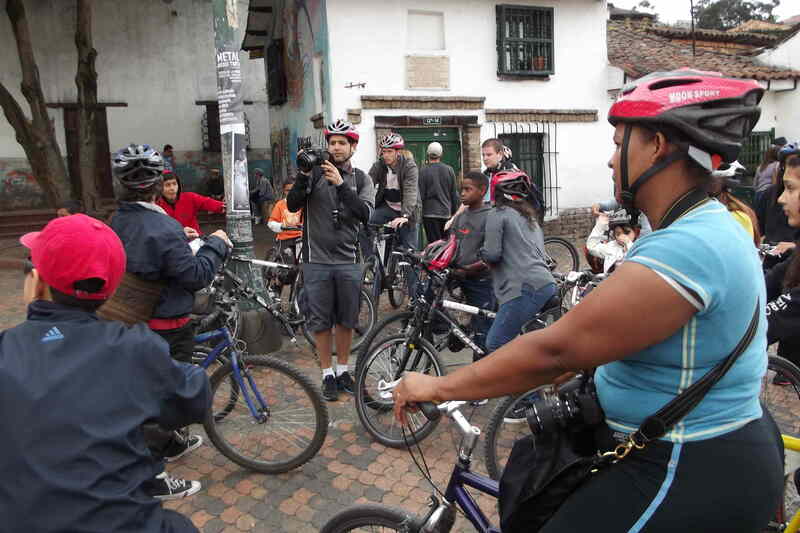 Today, they rode bikes through Bogotá’s historical center and Tercer Milenio Park with Bogotá Bike Tours. 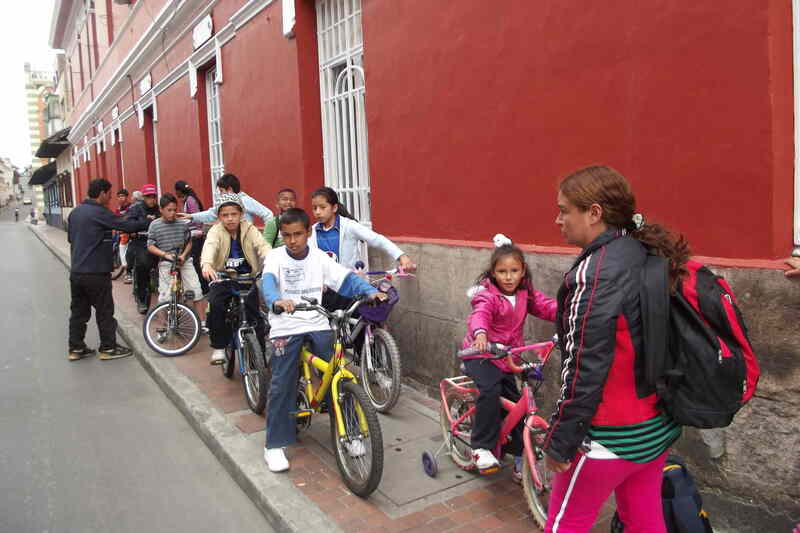 If you have a group of needy children, we’d be happy to organize a free bike tour for them. Just write us! 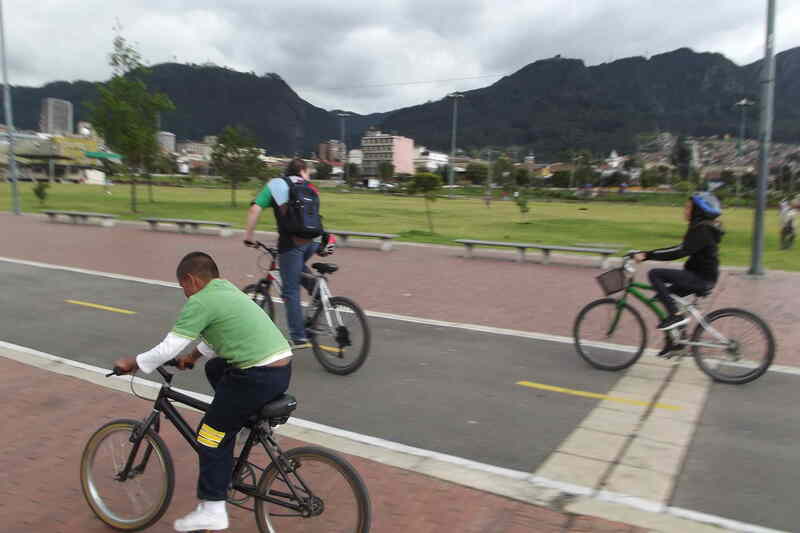 In La Plaza del Chorro, where Bogotá was founded. That’s organizer Tony Rocco in the middle taking pictures. 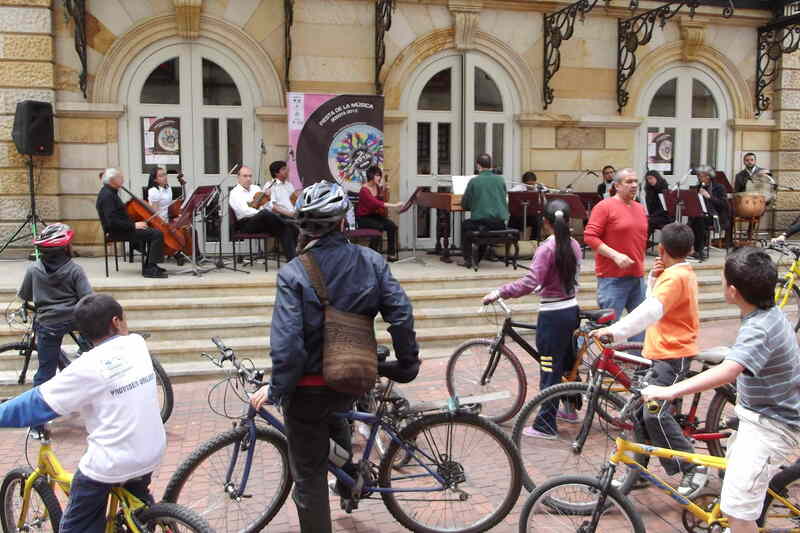 Pausing to catch a classical music concert in front of Teatro Colon. 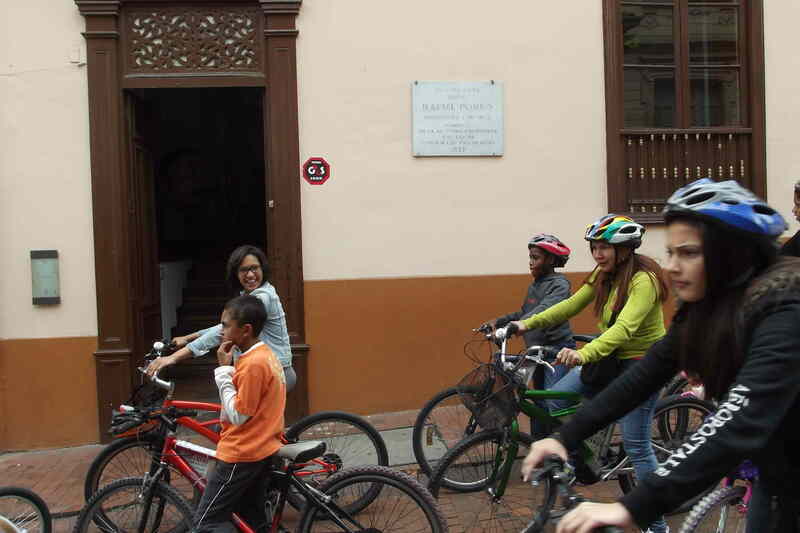 Passing by the Casa Rafael Pombo, a famed children’s author. 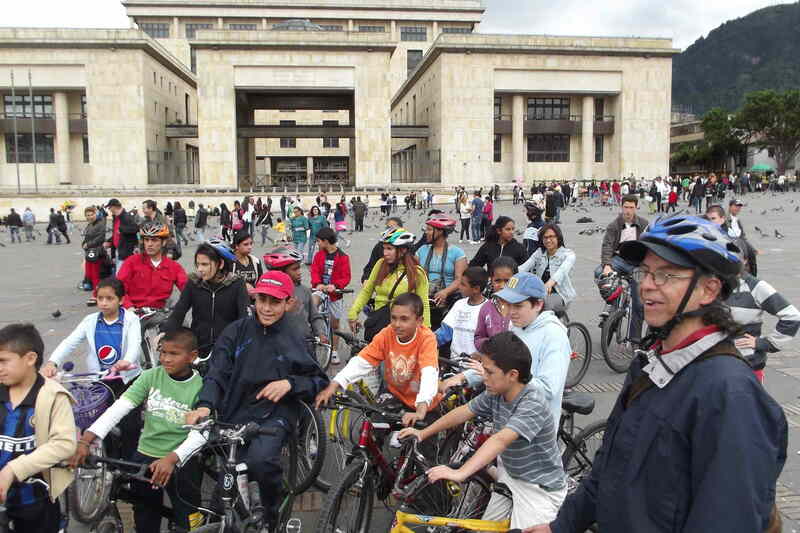 In La Plaza Bolivar, the seat of government. 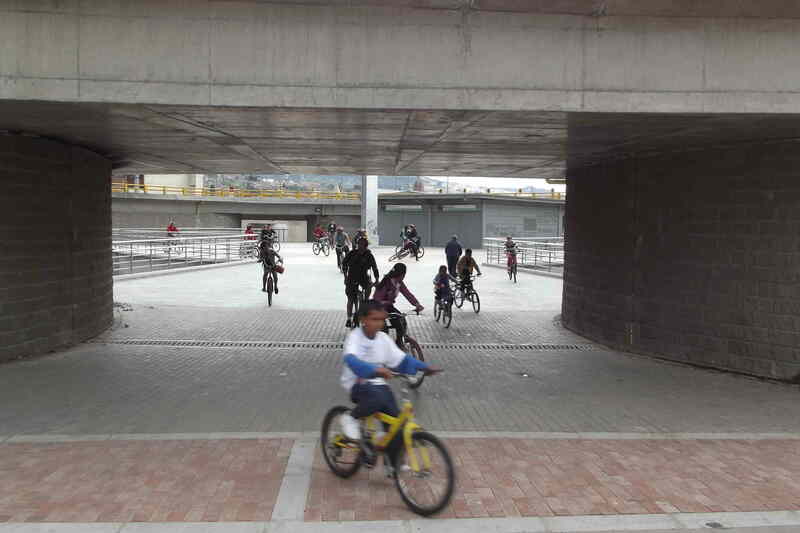 Bicycling through Tercer Milenio Park. 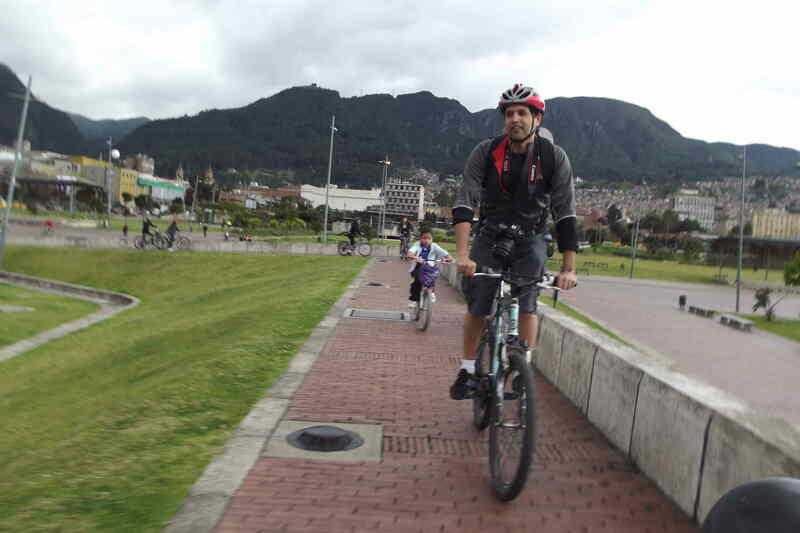 Organizer Tony Rocco in Parque Tercer Milenio, with Bogotá’s Eastern Hills behind him.